Here in Australia, the cat is a conundrum. They remain a wonderful pet, are highly effective as pest control, adapt to almost any situation and are generally robust, self-contained and healthy animals. As pets I love them a lot. In the Australian wild environment, however, they have been a shocking disaster. While there is incomplete evidence about the level of damage done by pet cats in urban environments there is no doubt that most cats like to hunt, regardless of hunger, and many get very good at killing small species – such as lizards and birds. Cats have been shown to specialise on individual species – as they learn how that animal behaves – and will drive it to local extinction. These problems are always worse the closer we live to bushland. Working as a vet in the Perth Foothills I have treated or euthanased many thousands of animals that are clearly victims of cat predation. So to protect struggling urban wildlife from our cats, and in turn protect the cats from cars, dogs, snakes and the spread of feline diseases leads us to want our cats to live within confines more and more. How do we do this without compromising their welfare? Read on to learn my 5 guidelines for creating happier, healthier and more fulfilled cats. Provide safe places in the house. Cats are cave dwellers. They need safe and secure places where they can rest so they feel protected, hidden and able to observe their world. Good examples of safe places are a cardboard boxes, cat carriers, and raised cat perches of various designs. Aim for a minimum of 3 or 4, and certainly ensure there are more caves than cats in the household. Safe places should be located away from each other, in varied types of locations, some cool – some warm – some dark – some high – some near windows. If they don’t feel safe and have these refuges inside the house they will always want to go outside where shrubs, trees and all sorts of structures will fulfil this need. Provide lots of separated key resources. Key resources include toileting areas, food, water, scratching areas, play areas, and caves. These things should be separated from each other so that our cats have free access without being challenged by other cats or other potential threats. Separating resources reduces the pressures of competition, stress, and stress-associated diseases. A very common form of bladder blockage occurs in male cats in multi-cat households. The number one way to stop this brutally painful disease is to ensure there are more litter trays than cats. No, really, it is as simple as that. Provide opportunity for play and predatory behavior. To the greater extent cats are born wanting to hunt. Play can be stimulated with the use of interactive toys that mimic prey, such as a toy mouse that is pulled across a floor or feathers on a wand that is waved through the air. Cats need to be able to capture the “prey”, at least intermittently, to prevent frustration. 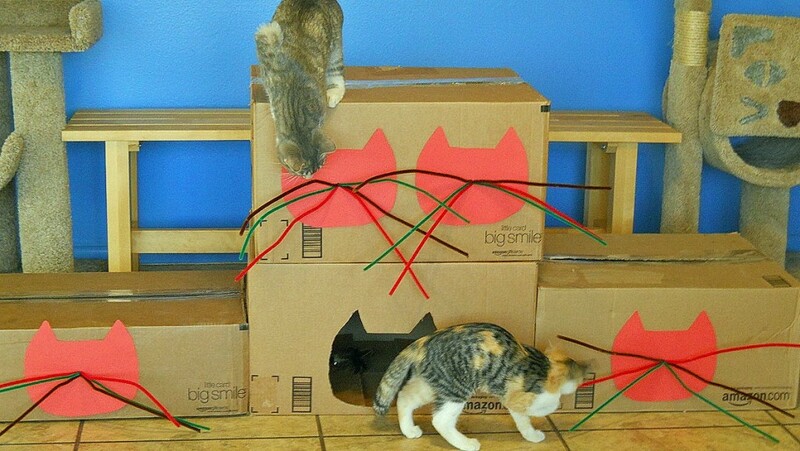 Early in a cat’s life introduce interactive play so they learn to avoid going after your hands and feet for play. Using food puzzles or food balls can mimic the action of hunting for prey, and provides a wealth of mental stimulation. A simple A4 sheet of paper makes a great dry biscuit food puzzle – scrunch a few bikkies up in it and let your cat work out how to get in. Expert level in this case is the paper puzzle suspended from a piece of string – Pinata style (see video below). 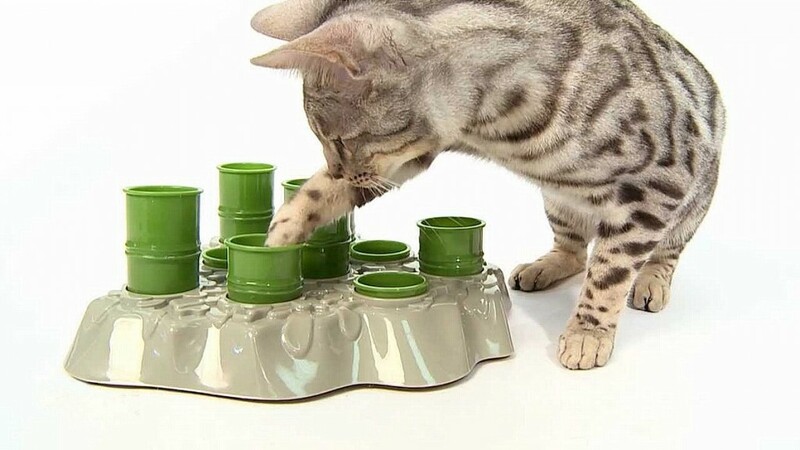 You can encourage your cat’s interactive play by rotating your cat’s toys so they do not get bored and rewarding with treats to provide positive reinforcement for appropriate play. If you have more than one cat, remember to play with them individually. Provide positive, consistent, and appropriate social interaction. Every cat differs in how it likes human interaction such as patting, grooming, being played with or talked to, being picked up, and sitting or lying on a person’s lap. To a large extent this depends on whether, as kittens, they were introduced to and socialized with humans during their period of socialization from 2–7 weeks of age. It is important to remember that every cat interacts differently and to respect the cat’s individual preferences. Remember to remind guests and all household members not to force interaction and instead let the cat initiate, choose, and control the type of human contact. Respect their sense of smell. Unlike humans, cats use their sense of smell to evaluate their surroundings. Cats mark their scent by rubbing their face and body, which deposits natural pheromones to establish boundaries within which they feel safe and secure. Avoid cleaning their scent off these areas, especially when a new cat is introduced into the home or there are other changes with pets, people, or the environment of the home. The use of synthetic facial pheromones, such as Feliway®, can mimic a cat’s natural pheromones and provide a calming effect in a stressful or unfamiliar situation. Some smells can be threatening to cats, such as the scent of unfamiliar animals or the use of scented products, cleaners, or detergents. Threatening smells and the inability to rub their scent can sometimes lead to problematic behaviors such as passing urine or stools outside the litter box, spraying, and scratching in undesirable areas. In some cases, stress-related illness may develop. If any of these problems occur, talk to your vet without delay. 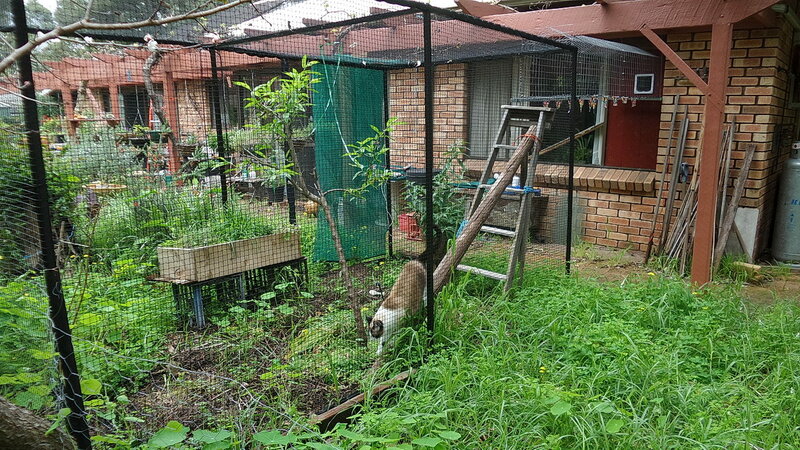 Probably the single most effective way to tick many of these boxes in the Australian urban environment is to build a cat enclosure connected to the back of your house. You can do this yourself if you know the way around your local hardware store, but there are also a number of Perth companies who build brilliant enclosures just like this one. Now here is a REAL cat pinata. Dunno, but I think this level of production might be a bit hard to sustain. A4 sheets of paper work pretty well. 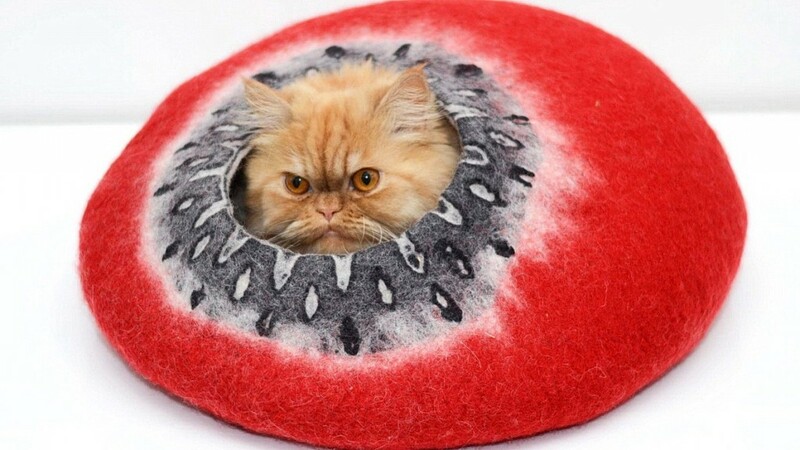 If you want to get serious, build some interactive cat furniture. How cool is this? However, how much easier to make is this? And finally, for the last word on caves, how gorgeous is this?? Hi Tina. Always a tragic situation when a remaining leg becomes truly problematic. Debulking will be more painful and will make no difference to the growth of the mass. Amputation isn’t totally out of the question. But I certainly wouldn’t put a 16 year old cat through it, leaving him dragging himself around on the little mobility trolleys you can use. Leaving it to grow unchecked using pain medication is most likely the best option – and accepting that when it becomes too difficult for him to get around because of it, you have to make the final decision. I am happy to come and have a look at it for you. Call, SMS or Email me.